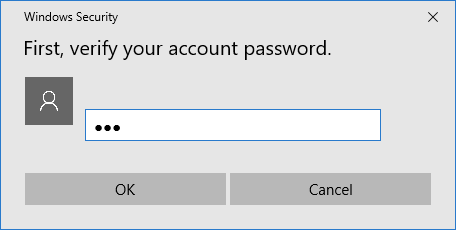 It is easy to change the User Password on your computer, both for Local and Microsoft User Accounts. 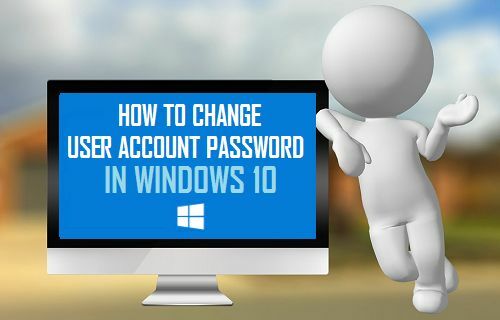 You will find below the steps to change User Account Password in Windows 10. Windows 10 provides you the option to Login to your computer using both Local User and Microsoft User Accounts. As the name suggests, Local User Account is just limited to your single Computer, where as a Microsoft User Account allows you to access multiple Windows devices and Microsoft services like OneDrive, Skype and Microsoft Store. In case you believe that the User Account Password on your computer has been compromised, you can follow the steps below to change your User Account Password. 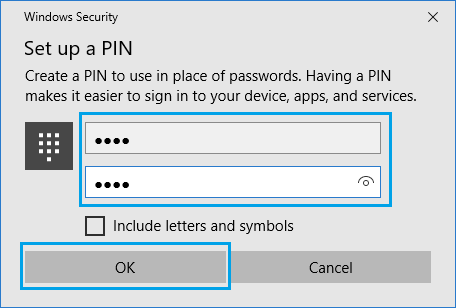 In addition to this, you will also find below the steps to use a 4-digit PIN or Picture as the Login Password for your Windows 10 computer. 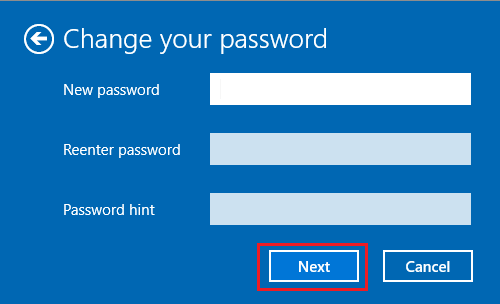 If you are using a Local User Account, you can follow the steps below to change User Account Password in Windows 10. 1. Click on the Start button and then click on Settings Icon. 2. On the Settings Screen, click on the Accounts option. 3. On the Accounts screen, click on Sign-in options in the left pane and then click on the Change button located under Password section in the right pane. 4. On the Change Password Screen, enter you Current Password and click on the Next button. 5. On the next screen, enter your New Password and click on the Next button. 6. 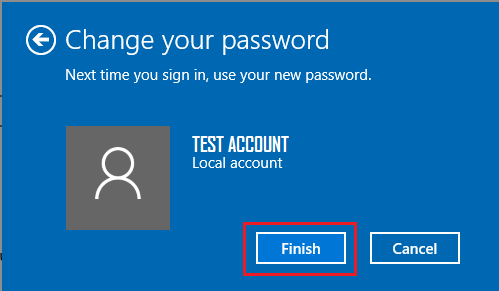 On the next screen, click on Finish to complete the process of changing Local User Account Password in Windows 10. 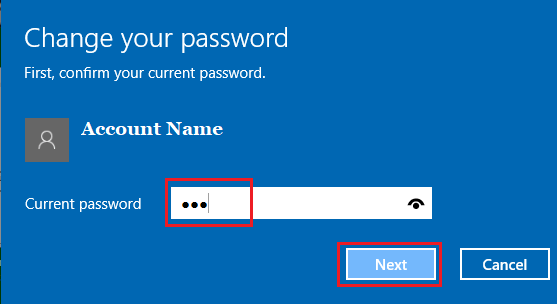 Follow the steps below to change Microsoft User Account Password in Windows 10. 1. Open Settings > click on Accounts. 3. On the Accounts screen, click on Sign-in Options > Change button located under Change your account password section. 4. 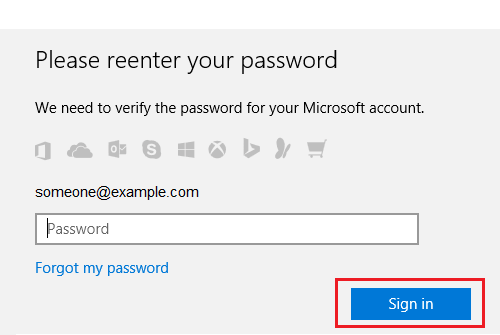 On the next screen, enter your current Microsoft User Account Password and click on Sign in. 5. 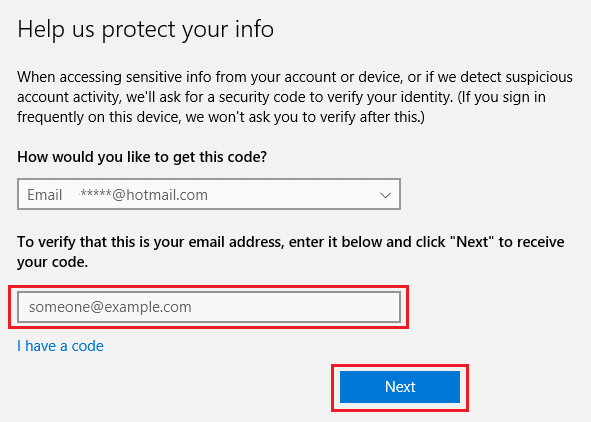 On the next screen, enter the Email Address or Phone Number associated with your Microsoft Account and click on Next. 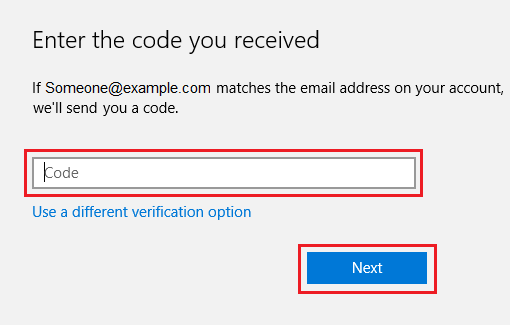 Microsoft will now send a verification code to your Email Address or Phone. 6. On the next screen, enter the Verification Code as received from Microsoft and click on Next. 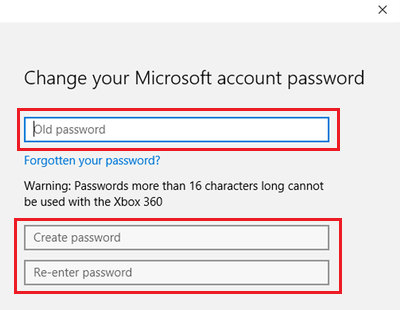 You will see Password Changed Prompt, once your Microsoft User Account Password is changed. Instead of using your regular User Account Password, you can setup your computer to allow login using a 4 digit pin. 3. On the next screen, enter your Current User Password and click on Ok.
4. On the next screen, enter a 4 digit PIN and click on OK.
You will now be able to login to your computer using this 4-digit PIN, instead of using your regular User Password. Another login option as available in Windows 10 is to use picture or pattern, instead of using your regular User Password. 1. Open Settings > Accounts > Sign-in Options. 4. Next, follow the instructions to setup a Picture as the Login Password for your computer.